Semjons Sapkins and Fibo Intercon manager Erik Roos have visited Republic of Belarus from 27 September until 1 October. Together with Belarussian partner Roman Lakotko they have visited potential clients to discuss market development ways. Nowadays 9 mobile concrete plants Intercon are working in Byelorussia area. The companies-buyers have rated our mobile plants very high. We plan to increase our sales in 2011 thanks to Roman Lakotko works in this country. Visit of Semjons Sapkins and Torsten Gunnarson to Republic of Belarus for meeting with Belarussian partner Roman Lakotko to discuss projects. 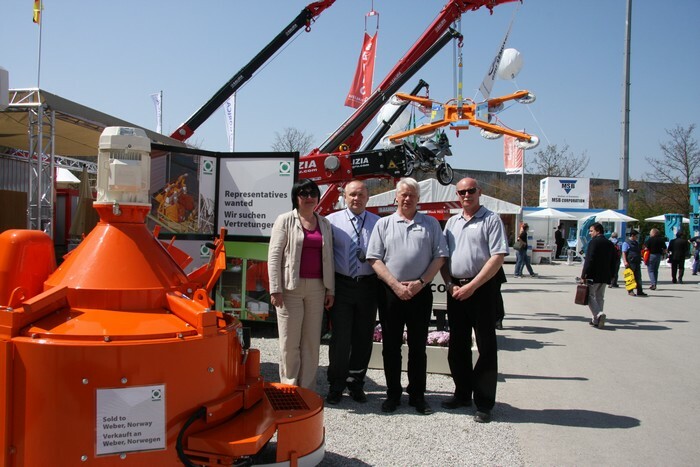 In April 2010 our company together with "Fibo-Intercon" participated in the 29th International Trade Fair for Construction Machinery, Building Material Machines, Mining Machines, Construction Vehicles and Construction Equipment "Bauma 2010", in Munchen, Germany. 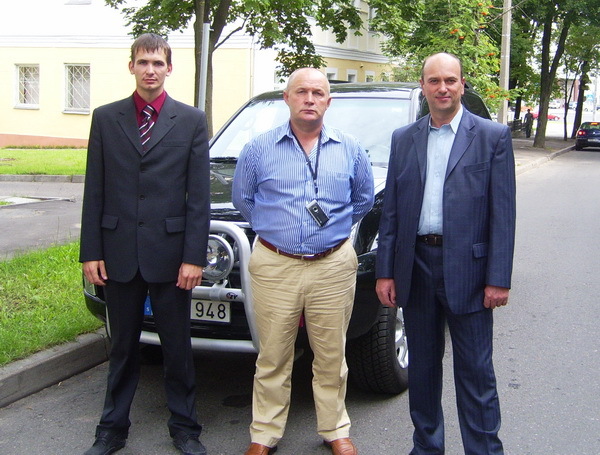 In August 2009 our company had a meeting with OAO "ASB Belarusbank" about construction equipment supplying to Belarus.